Does the Xfinity X1’s DVR transform TV? Data effective as of 3/9/2018. Looking for an in-depth review of the most popular DVRs? Check out our 2018 DVR buyers guide. Xfinity by Comcast claims the X1 DVR will “change the way you experience TV.” We dug in to the details of this Comcast cloud DVR to determine if that was truth or just hype. What we found was a little bit of both. Pros: The X1 offers a fantastic integrated viewing experience focused on Netflix, sports, and on-demand HD. The platform specifically shines on the go, with a mobile app that has one of the most user-friendly interfaces on the market. Cons: The X1 lacks luster in some very basic equipment specs, with mediocre storage and fewer tuners than many other leading DVRs in the industry. So, if you want easy-to-use mobile access to your shows and don’t mind settling for a little less storage space, check to see if Xfinity is available in your area. Enter your zip code below to see all your local providers. What is the X1 Cloud DVR? The X1 platform is Comcast’s latest cable box and DVR upgrade. You may have heard of the X2, but technically that’s just a software upgrade to the same system still officially called X1. The X1 employs one main DVR box and optional add-on cable boxes that allow you to watch recorded programs on multiple TVs throughout your home. You can access all your X1 TV content from your desktop computer, laptop, tablet, or smartphone as well. This level of convenience gives the X1 enough of an edge to keep us interested despite its limited storage. Unlike the DVRs for satellite TV providers, you can’t purchase an X1 outright, so you’ll need to opt for TV service from Xfinity if you want this nifty DVR. And because of the constant updates and the cloud storage, don’t get the X1 without reliable internet service. Xfinity Internet offers high download speeds that are great for streaming your X1 Cloud DVR recordings from anywhere in your home. With that in mind, we recommend be sure to get a Double Play or Triple Play bundle from Xfinity because those bundles come with additional savings that you might miss out on if you go with another internet provider. Connecting your DVR with an HDMI port is easy, but if you have an older TV that doesn’t have HDMI, setup can be a bit more complicated. To troubleshoot these issues or find a port that could work for an older TV, check out our TV port guide. Some X1 features stand out, like the X1 voice remote, while others are DVR standard. Let’s take a closer look at each part of this system to see what the X1 DVR can do. The X1 system can turn your smartphone into a remote control. If you download the app for iOS or Android devices, you can navigate your X1 menu on your phone and use it to control your TV system. Like the remote itself, the smartphone app can also recognize voice commands. We’ve highlighted the hardware, so let’s move on to the software. Here’s what you can expect from the X1’s user interface. The biggest changes on the new X1 platform are the on-screen guides and menus. 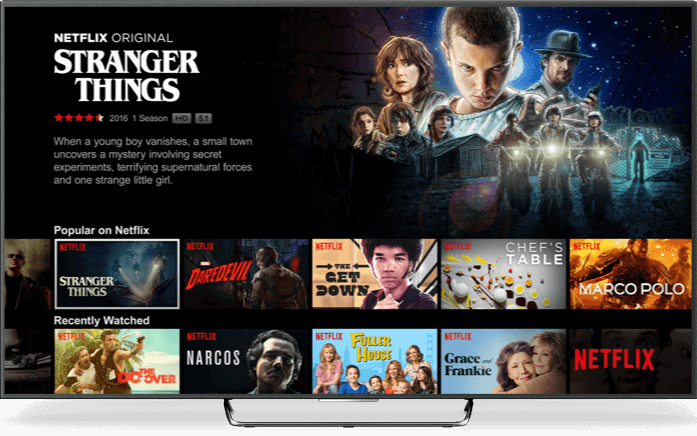 The design was obviously influenced by online streaming services, but Xfinity expanded on those ideas to create an all-encompassing user experience. The design is sleek but can be a little slow at times. 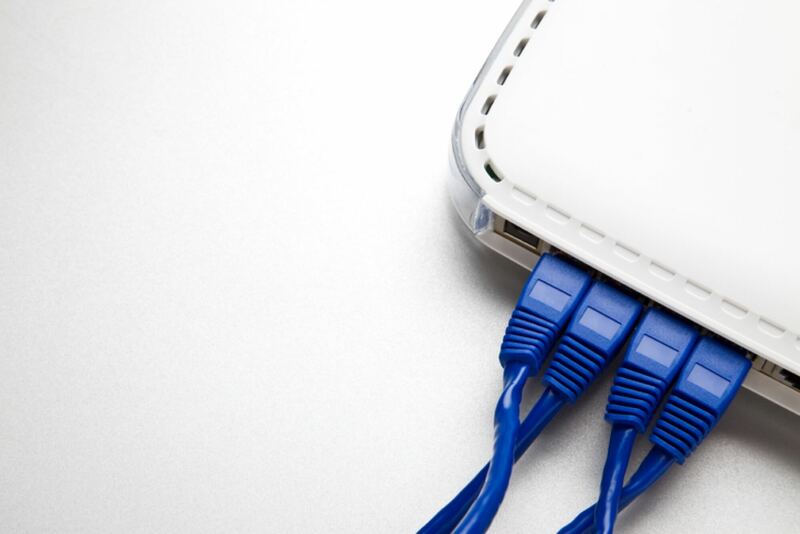 You’ll notice more lag if you don’t keep the system updated regularly. Some people don’t like the size of the font, but it’s not an issue for everyone. The system displays network logos for each channel, which makes finding the channel you want easy. But perhaps the best thing about the new guide is that the program you’re watching keeps playing in a small window no matter where you go in the menu. Gone are the days of scrolling through screen after screen of titles you don’t care about while the same, boring on-demand promo plays on loop. Now you can just enter the title you’re looking for, and the X1 system will find all the possible options for that program, whether it’s playing on live TV, available on demand, or stored in your DVR recordings. You can narrow your search further by selecting specific filtering categories. Once you’ve got your list of results, you can choose your program. When you select your program, X1 brings up an info screen similar to what you would find on IMDb.com. It lists information about the movie or TV show, including the cast. You can then navigate this info screen and select items from it. So, if you search for “Ghostbusters,” you can then select “Bill Murray,” and the X1 will show you a list of movies and TV shows with Bill Murray in them. Exploring these sorts of searching options alone could provide hours of entertainment. When you finish watching a TV show on demand, the X1 system will ask if you want to watch the next episode. With the old system, you had to go through all the menus to find the show again and then find the correct episode. The convenience added by this small change is a huge improvement. Another great feature of the user interface is the “Last” function. It doesn’t just take you to the last live program you were watching—it brings up a list of the last nine programs you were watching, regardless of if the shows were live, on demand, or DVR recordings. While this feature isn’t much different than what you’d get with a streaming TV device like Roku or Fire TV, it’s convenient that you won’t have to switch between devices to access the app. The Xfinity X1 DVR lets you record up to six shows at once from anywhere in your home. 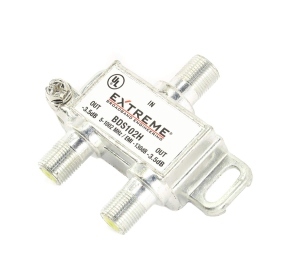 This works by employing one master DVR and additional cable boxes that interconnect throughout your house. Then you can control your DVR from any room with a TV connected to an X1 box. With the X1, you can start and stop recordings, access recorded and on-demand programs, and even start a show in one room and finish it in another. Unlike traditional DVRs, the X1 Cloud DVR stores all your recorded programs on cloud technology, not on a hard disk inside the machine. 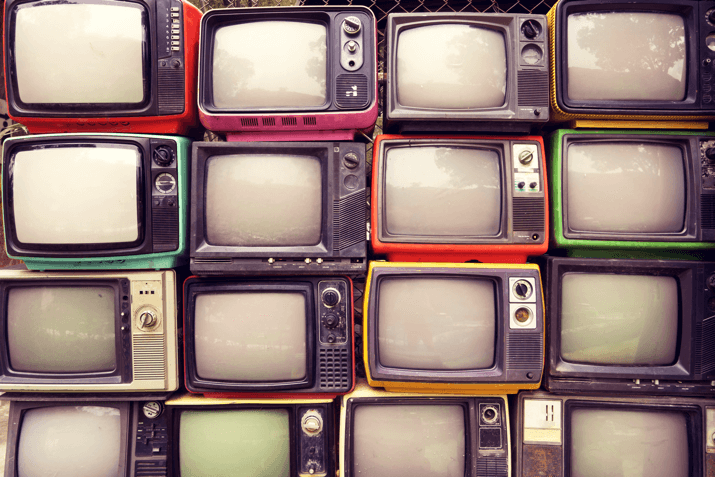 The trade-off for all that space is that when you watch recorded programs, you’re technically streaming them, so you’ll need an internet connection. If you’re worried about buffering, download your shows ahead of time to watch later. Going over your storage limit means the X1 will start recording over your old shows. Don’t worry—you can protect specific shows from this rule or check your deleted shows to recover them. If storage is a determining factor for you, the DVR for any other major TV provider has more storage than X1’s mediocre 500 GB. To get the most storage, go with the Hopper 3 from DISH, which offers up to 2 TB (500 hours) of HD storage. To keep your X1 in peak condition, make sure it maintains a constant internet connection. Xfinity updates the software in the early morning hours, when most people aren’t watching TV. If your system is turned off when the updates come through, they’ll be backlogged for later. That means the system will run slower when you turn it back on because part of its bandwidth will be downloading the updates it missed. To avoid this trouble, leave your system on and don’t postpone your restarts for more than one or two nights. With the X1, you’re not just choosing a DVR, you’re also choosing a TV provider. 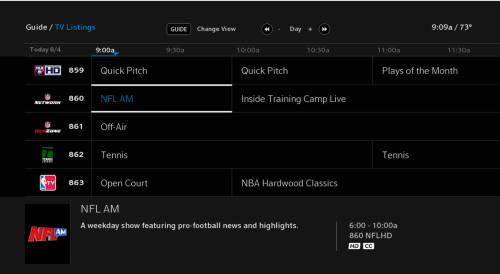 Here’s what you need to know about the viewing experience with Xfinity and its X1 DVR. X1 really shines with its highly customizable user interface. The viewing experience is nearly seamless. You can bounce from Netflix to your favorite game to the latest episode of Game of Thrones, and never miss a beat. To top it all off, the X1 entertainment platform is especially agile on mobile devices. 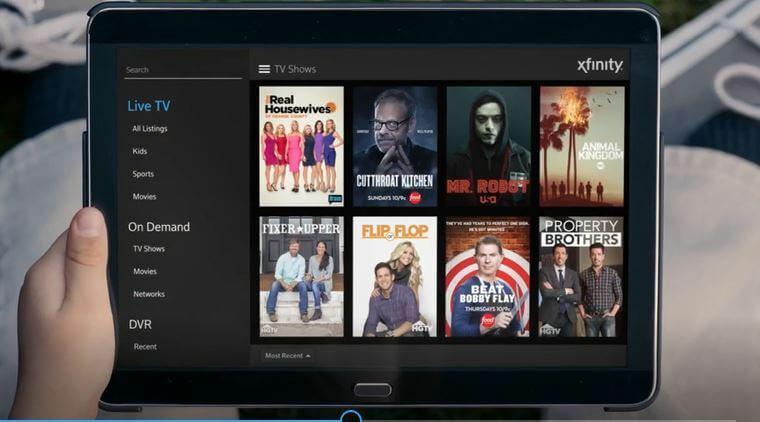 The innovations on the Xfinity X1 platform from Comcast make it easy to jump from one device to another to watch all your favorite shows from wherever you are. Xfinity offers eight mobile apps, two of which are directly related to the X1. 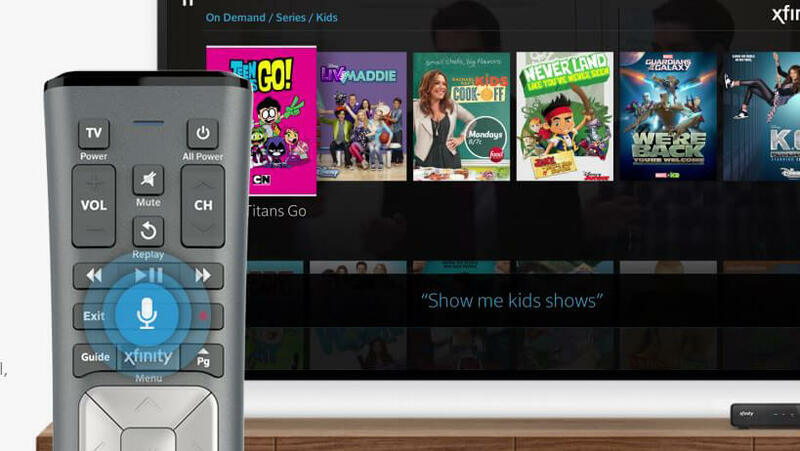 Xfinity Stream for Android, Amazon, and iOS devices lets you watch live TV and Xfinity On Demand on your device, and X1 customers can even download or stream X1 Cloud DVR recordings. Xfinity TV Remote for Android and iOS devices allows you to turn your smartphone into a voice-remote control. Unfortunately, neither app lets you schedule DVR recordings, so you’ll have to set your shows to record before you leave. That’s a bummer if you learn about cool new shows while you’re out and about, but you can always take care of your DVR scheduling when you’re at home. The X1 has fifteen apps, which might seem like a lot, but that’s fairly thin in this post-Roku world. Especially with one app that exists solely to give you your daily horoscope, it seems like there’s plenty Xfinity could do to bulk up its lineup. Watchable: Search-and-watch tool for popular online videos. While a few of the apps are cool, especially Netflix and the sports app, the inclusion of most X1 apps seems more like pandering than providing useful features. Rather than make a bunch of apps for simple tasks, Comcast should have just incorporated a web browser into the system to let people access the sites they want to use. The X1 is an agile DVR, and while the seamless integration is exciting, the lack of storage is a real issue. However, while many competitors have more storage and simultaneous recordings, the X1 gets the job done for a reasonable price. If you want to know more about other TV options, enter your zip code below to find your local providers. 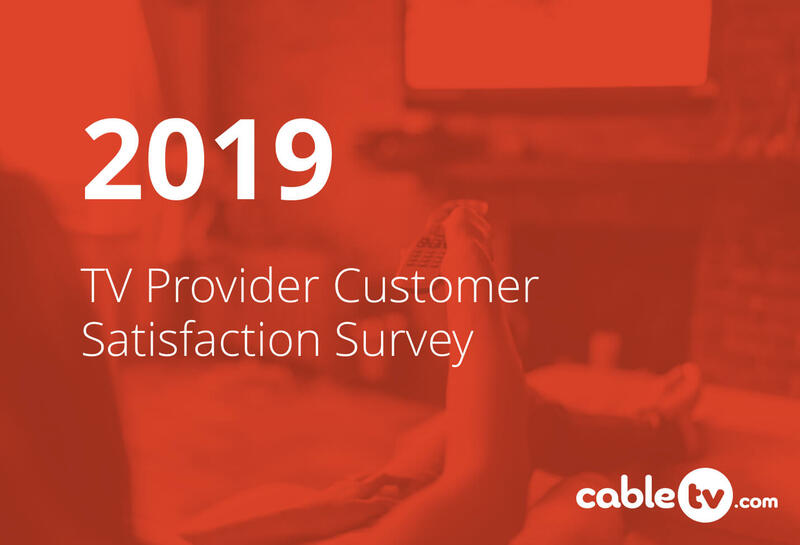 For more reviews on DVRs and TV equipment, visit our equipment review section.